Every year, the Alhadeff Future Teachers of Color hosts its annual conference, focused around social justice in education. Inclusion for people with disabilities in schools and the community. ~Isms in education (racism, ableism, etc.). How to facilitate difficult conversations. Thank you to Boost Collaborative for helping sponsor this event. Our keynote speaker this year is Kevan Chandler, from Ft. Wayne, Indiana. Kevan, despite having a physical disability caused by muscular dystrophy, set out to live his dream of traveling Europe. 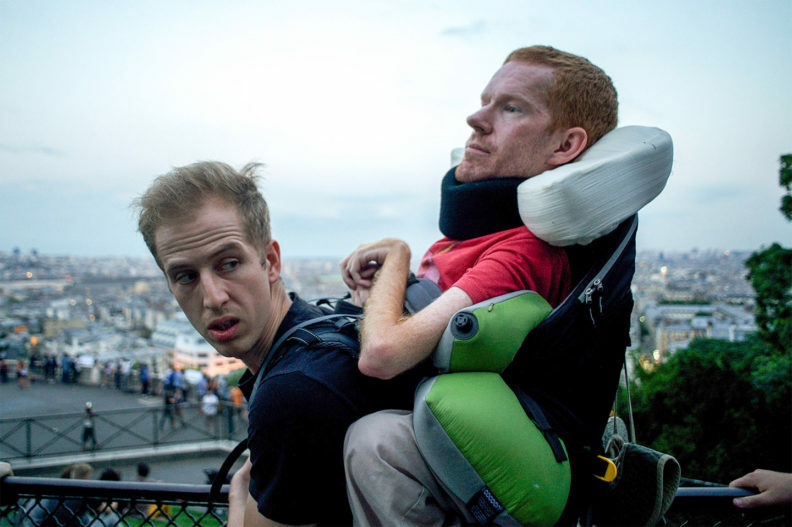 With the help of four friends, he left his wheelchair at the airport and was carried in a customized backpack to places otherwise deemed “inaccessible” to him; truly a picture of friends breaking barriers to seek inclusion. Today, Kevan and his friends continue the journey by encouraging others to step out, find adventure, and continue breaking barriers for people with disabilities.